What is that Web in my Pecan Tree? It is that time of year where mysterious webs have invaded pecan trees throughout the Southeast United States. This is definitely the case in the panhandle of Florida. 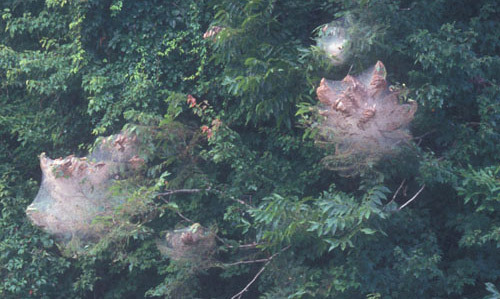 Many have called into the extension office asking for identification of the web mass in their pecan trees. It is the Fall Webworm that has made a home in the pecan tree this fall. Photograph by James Castner, University of Florida. Photograph by Andrei Sourakov, University of Florida. 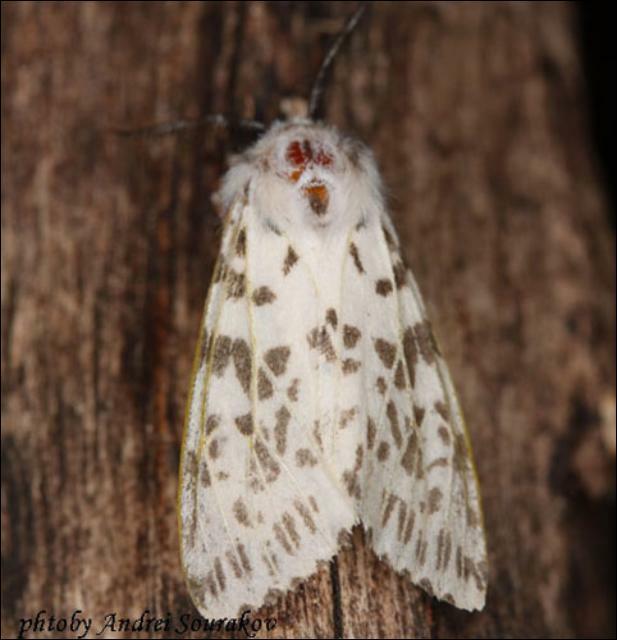 The adult fall webworm is a moth that is bright white in color and may have darker spots on its wings. The larvae of the moth are what lives in the tent web masses. Immediately when the larvae webworm hatches out of the eggs it begins to create its webs around foliage in which it will feed on. The damage cause by the feeding of the larvae on the pecan trees is isolated to the leaves and they will not eat the nuts. If Defoliation is severe enough it can reduce the current years crop and the following years crop. Several years of defoliation can lead to death of the tree but this is not likely. Obviously the webs are ugly as well and if the tree is not only a producer of pecans but also functioning as an attractive shade tree in a ornamental since this can be a problem. In most commercial pecan production settings webworms are not very prevalent because of the spray programs implemented. For residential settings the best solution is to manually prune them out because of the lack of proper spray equipment to cover the entire tree. If the problem is bad enough call your local extension agent to get recommendations on products that could be used.